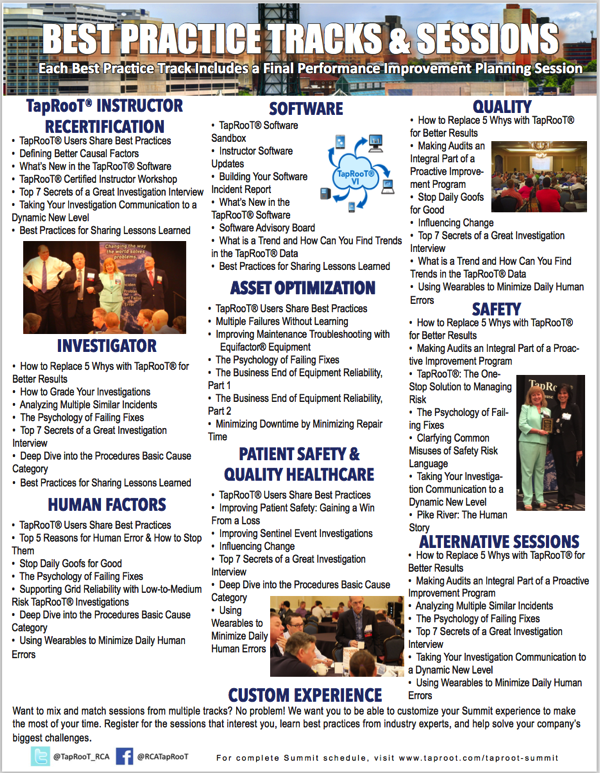 Which Summit Track Should You Attend? That’s a tough question to answer. Maybe you should bring enough folks so that some attends each track? If you have to pick just one, watch these videos and read the information at the links below to help you select the right track that will help you improve performance at your company.